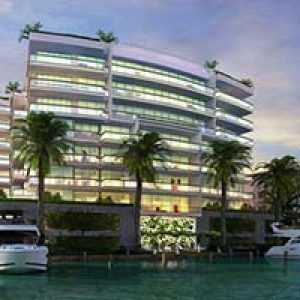 The Maxwelle Group of Aventura Florida is bringing their boutique expertise to the idyllic shores of Hollywood Beach. The Oceanbleau will feature the best in modern design and amenities, usually reserved for Miami properties, right in the heart of this growing neighborhood. 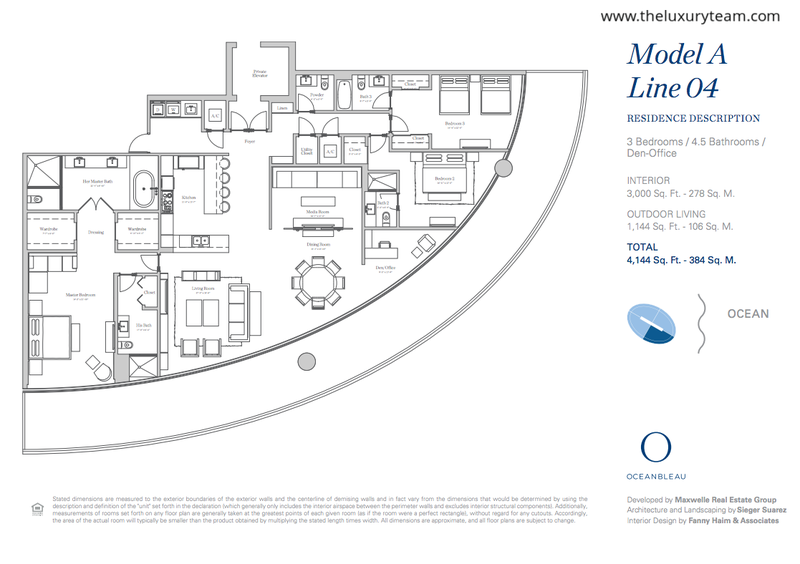 A collaborative effort between architects Sieger Suarez, interior designers Fanny Haim & Associates, and realty team BH3, The Oceanbleau presents itself as an excellent place to live or invest in. This 17 story tower features 48 residences ranging from 3,000 square foot 3-bedroom models to 6,000 square foot 5-bedroom models. The luxury residences at Oceanbleau will all have 10 foot ceilings, 12 feet in the penthouse, with beautiful panoramic views of The Atlantic Ocean and The Intercostal Waterway. Each resident can enjoy private access with their own elevator entrance. Inside the residences, kitchens come equipped with top of the line appliances from brands like Sub Zero, Miele, and Wolf. Each master bathroom is designed European style with a separate spa tub and shower area. 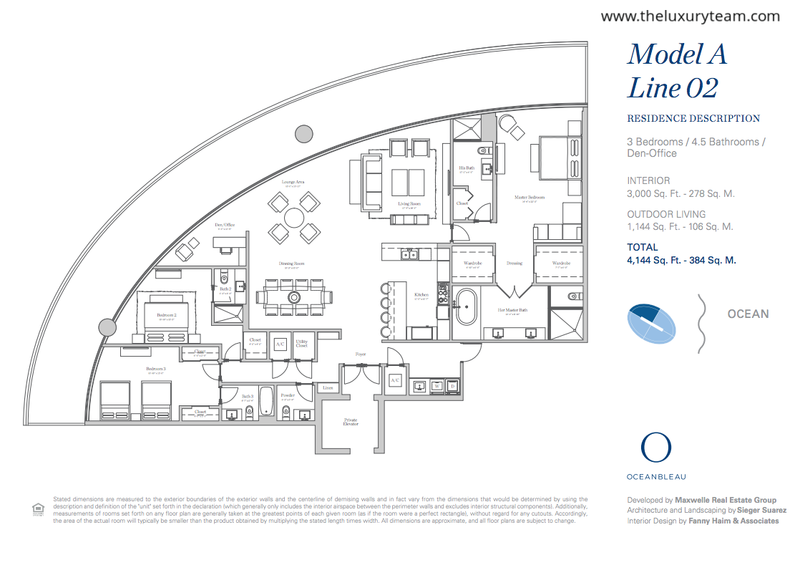 The community at Oceanbleau in Hollywood is rich with amenities, entertainment, lifestyle and shopping options. All residents can enjoy towel and umbrella service on the beach, or lounge in the beautifully landscaped outdoor pool area. Fully-equipped poolside cabanas are available for use in this resort style spa environment. His and her’s steam and massage lounges, aerobics studios, and community fitness classes are available for those looking to live a healthy lifestyle. A state of the art fitness center is available to all residents, as well as a social room, outdoor garden and BBQ, and 24-hour security, valet, and front desk assistance. 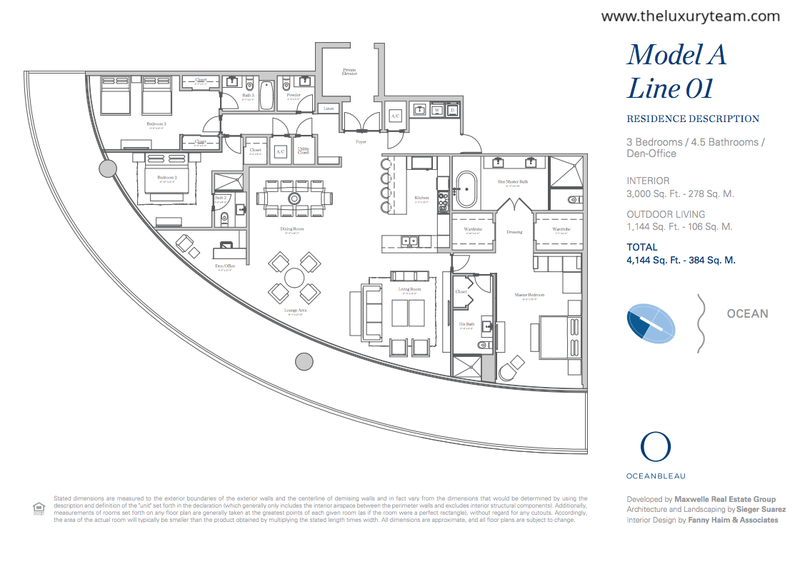 The Oceanbleau is pet friendly and residents have 24-hour access to free garage parking. As if there wasn’t enough to do on the premises at The Oceanbleau, it is conveniently located within walking distance to dozens of dining and shopping establishments. Just a short drive from The Mall at Aventura, Bal Harbour Shops, and downtown Fort Lauderdale, Oceanbleau is close enough to most major attractions in South Florida. Historic Gulf Stream Park, Fort Lauderdale Art Museum, South Beach are all just a short ride away. Situated close to the A1A and I-95 highways, The Oceanbleau offers easy access to both Fort Lauderdale and Miami International airports. 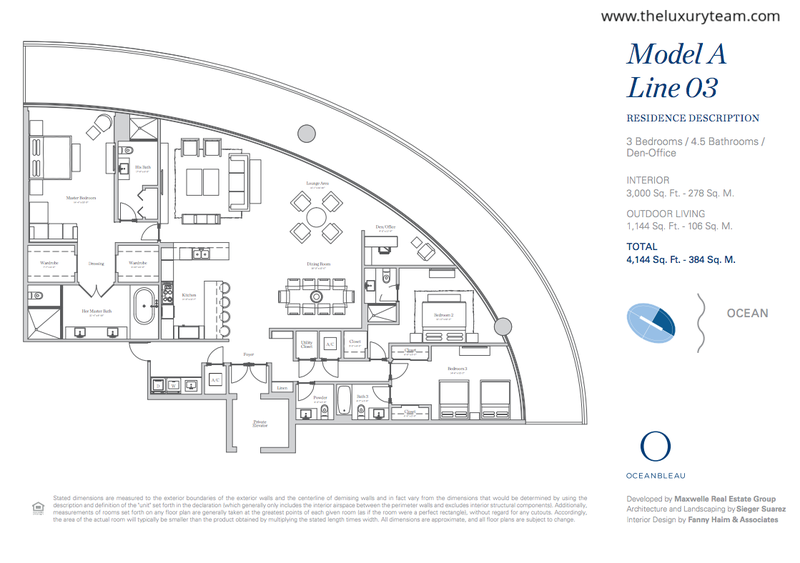 Don’t miss out on this opportunity to own a luxury residence in the heart of fast-growing Hollywood. Construction is scheduled for completion in December 2016 with fully-furnished move-in-ready units available.